"Sharing is a social skill all children need to learn. This book presents sharing as a positive choice and offers concrete examples to help children practice taking turns and realize the benefits of sharing. 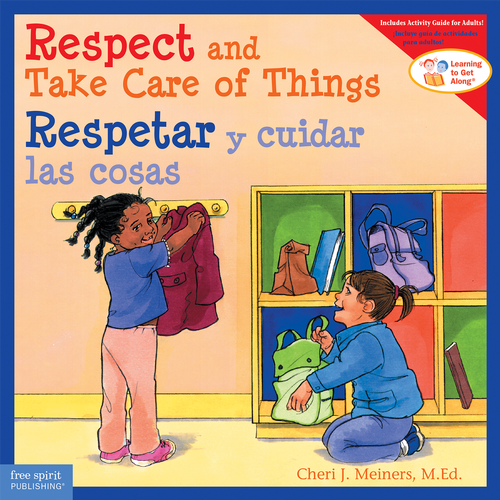 The English-Spanish editions from the popular Learning to Get Along series help children learn, understand, and practice basic social and emotional skills. Real-life situations and lots of diversity make these read-aloud books appropriate for homes, childcare settings, and primary and special education classrooms. Presented in a social story format, each bilingual book includes a special section for adults, with discussion questions, games, activities, and tips that reinforce improving social skills."